Apple’s Handoff feature enables the user to start a task on one device and the continue it on another device. By using Apple’s Handoff, the user can answer a call in the Phone app on Apple Watch and then transfer it to iPhone so that you can complete it more comfortably. Similarly, you can start and instant message on one device and then complete it on the other device. Handoff was introduced with iOS 8. Handoff feature is highly useful to seamlessly work on different Apple devices. Handoff feature is also available on Apple Watch and it is pretty easy to setup and use. When a phone call comes on iPhone, Apple Watch receives it, plays the ringtone and displays the caller’s name or phone number. Tap Accept on Apple Watch. 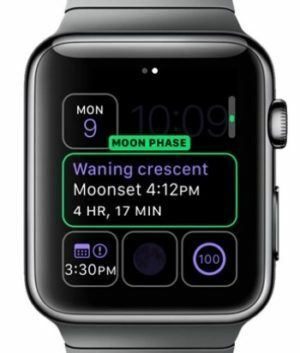 Now iPhone connects the call, you can begin talking to the caller via Apple Watch. On iPhone, press Home. Or you can press Sleep/Wake to wake iPhone. The lock screen appears. The Phone icon appears in the Handoff area, thus indicating that the user can use Handoff feature for the Phone app. Next drag the Phone icon upward. iPhone picks up the call via Apple’s Handoff feature. When you finish the call, tap End Call, and iPhone will end the call. Check whether Bluetooth is toggle ON, on your iPhone and on your Apple Watch. Make sure that both your iPhone and Apple Watch are paired. Check whether Handoff is enabled on iPhone and Apple Watch. On your iPhone go to Settings – General – Handoff & Suggested Apps. Once there turn On Handoff. On iPhone tap on Watch – My Watch – General. Note: Make sure the app you are trying is Handoff supported. Note also that one of the users on Apple forums suggested signing out from iCloud on iPhone and sign back in. It seems that there is no logic behind this trick, but many other users have commented that this worked for them. Why not give it a try? Try restarting your Apple Watch and also your iPhone. Toggle off Handoff on both devices, and after few seconds toggle it back ON. Airbnb: This app lets you find places to stay all over the world. With Handoff support, you can start browsing for places on your iPhone and then view the full blown listing on your Mac. Basically, once you’re inside a listing in the iPhone version of Airbnb, your device will know what you’re looking at and offer a Handoff using your default browser to open the full listing. Aside from Handoff support, Airbnb also supports Notification Center widgets so guests and hosts can see what stays they have coming up in just a swipe. The NYTimes app: This app brings everything you love about the print version right to your iPhone. With Handoff support you can start reading any article on your iPhone and your Mac will know and let you pick up right where you left off on the New York Times website, and vice versa. iA Writer Pro: A complete writing suite that not only supports Markdown, but works by breaking down the stages of writing. Each has its own font and style to suit each stage. You can also enjoy Syntax Mode and many other features that make writing long or short form content in iA Writer Pro a great experience from start to finish. Now with Handoff support, you can start writing on your iPhone and pick up on your iPad or Mac. Pocket: This app lets you save all the interesting articles, stories and linsk you find around the web and in other third party apps for later. Then when you have time to sit and read, just launch Pocket and pick up where you left off. With support for Handoff in iOS 8, you can now start reading something on your iPhone and pick up where you left off on your iPad. Then if you need to switch back, you can easily do so in just a quick swipe or a few taps in Notification Center. Better yet, Pocket’s Mac app also supports Handoff so you can easily switch from desktop to iOS in mere seconds. Things: is a complete task management suite with support for projects and simple task management, Things can be as intricate and organized as you want it to be. Or you can throw things in the inbox and organize them later if you feel like it. With support for Handoff, you can quickly start creating tasks on your iPhone and pick up where you left off on your Mac. If your eyes are on the new Apple Watch and you look for good hands to adopt your old watch, contact us, and we’ll give you the best price for your gadget: Sell Apple Watch online, the highest prices! Video uploaded by iClarified, on May 7, 2015.